Paytech firm Dynamics has teamed up with Sprint, a subsidiary of SoftBank, to launch the Wallet Card, a battery-powered, connected payment card, reports Julie Muhn at Finovate (FinTech Futures’ sister company). The Wallet Card, Dynamics’ first internet of things (IoT)-powered card, will leverage Sprint’s network for wireless data transfers. 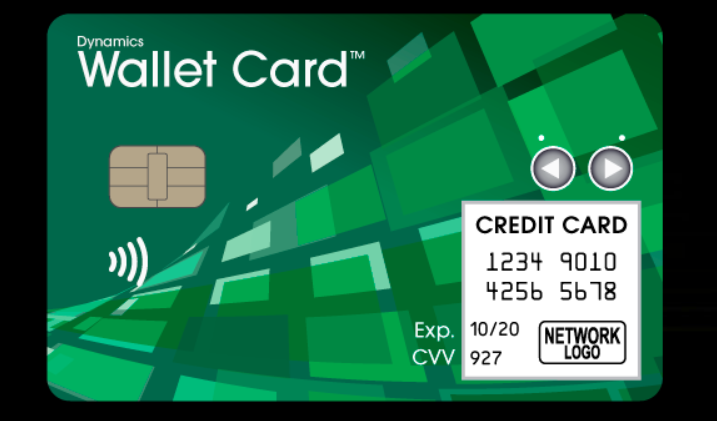 The card, which is around the same size and shape as a normal credit card, contains almost 200 internal components. Users can access debit, credit, pre-paid, multi-currency, one-time use, and loyalty cards from a single card. Jan Geldmacher, president of Sprint Business, says the card is an example of “how important converged networks and advanced integrated technology will be for the lives of everyday people across the globe”. Also this week, Dynamics has teamed with India-based IndusInd Bank who will bring Dynamics’ multi-account, powered card – a product the company debuted in 2010 – to the Indian market. Founded in 2007, Dynamics has raised over $110 million in funding from investors including Mastercard, CIBC, Adams Capital Management, and Bain Capital Ventures. It is headquartered in Pittsburgh, with office locations in Singapore, Sao Paulo and New York.